With the financial year end approaching and the target of property tax has not been met Commissioner Ravi Kumar has formed special teams who will approach each unpaid house hold and ask them pay the property tax before 31st march or else the water and power connection would be dis connected. It is not right for people to delay the payments . 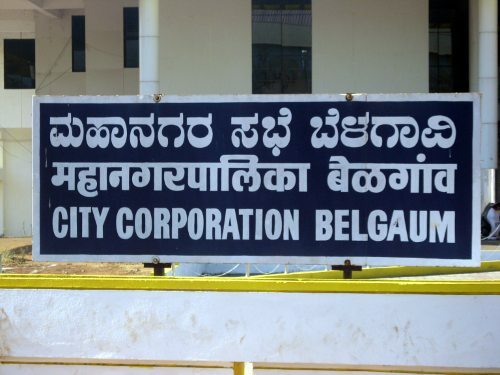 But it is highhandedness of Belgaum Corporation to threaten Citizen with disconnection of Water and Power . What steps are taken when Corporation employees donot work properly , services are not rendered properly – Are these people salary not paid ? Are erring employees suspended and/or terminated ? Please be fair and take up with Citizens who have not paid and make sure services are maintained professionally . Please donot misuse monopoly . I am a person from belgaum. i have a house there. 3years back i approached corporation enabling citizens to pay property tax online. AS USUAL IT WAS FORWARDED UPWARDS with no use. nothing has happened so far.How can you expect all citizens to come to corpn office?paying online taxes will definately increase collection of taxes.In all metrocities this fecikity is there. this helps atleast sincere tax payers to pay their taxes in time& as per convinience Hope atleast now corpn will give this fecility& see the results.